Consent has been granted by the Homes & Communities Agency (HCA) through powers under the Housing and Regeneration Act 2008. This means that Genesis can now sell empty property to funding a new-build programme. Over the next three years Genesis aims to build more than 3,000 new homes, the majority of which will be affordable housing. 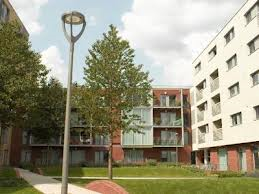 The general consent allows the housing association to dispose of vacant assets without needing permission each time from the regulator, with the proceeds being recycled to provide a wide range of housing options and investment in the regeneration of neighbourhoods. Disposals will be monitored by the regulator, while the consent will be reviewed after a period of three years.